As with most things in life, the more you prepare for something, the more comfortable you will feel when it comes to the event itself. 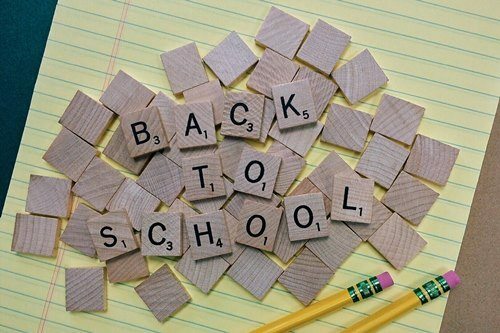 To help prepare your child for their new school, here are some top tips for you both to feel as settled and anxiety-free as possible when it comes to the first day at secondary school. Whilst it may seem obvious to make sure that you have all of the correct school uniform, it makes a huge difference to anxiety levels if the uniform is already ironed and hung up ready to put on. That includes having worn in school shoes to make sure they’re comfortable, and if relevant, making sure that your child knows how to tie a tie before their first day. It’s also a good idea to have your child’s bag packed full of everything that they might need for their first day. It’s better to have too much than too little, as if you find out that something isn’t needed you can always take it out the next day. Include stationary, a calculator and even tissues. Many secondary schools will use a two-week timetable system, which will mean that on some weeks they will have lessons like PE so will need to pack a different bag. . Make sure that ‘week 1’ and ‘week 2’ are labelled in your child’s planner, so that whatever the date, they will know where they’re supposed to be going and what they will need to take with them every day of every week. A morning routine will start the day off well, no matter what your child has ahead of them. Knowing what time to get up, when they need to start getting dressed and what time their slot for doing their hair and brushing their teeth in the bathroom is, will help them to feel calm and ready for the day ahead. Similarly, knowing what time they need to go to bed will help them to organise their evenings in order to make time for seeing their friends, watching their favourite television shows and doing their homework. Your child will undoubtedly have more homework at secondary school than they were used to getting at primary school. For this reason, it’s important for them to have somewhere they can sit to complete their homework. They will also need to have somewhere to store their books and folders, as not every subject lesson’s documents will be needed on every day. A set of drawers or filing trays work really well and can even be labelled by day, so all your child has to do is to pick up the right day’s tray and put the contents into their bag. Whilst your child may have been able to walk to school or get a lift with you before, many children are likely to have to get the bus to their secondary school. The questions then are how will they get to the bus stop; what time do they need to be there for and in which case, when do they need to leave the house to get to the bus stop on time? It’s well worth doing a practice run to the bus stop together at the weekend, so that both you and your child know when they need to leave the house on their first day. During the summer holidays, most children will spend a great deal of time with their friends from primary school. In Year 6, when they’re approaching one of their biggest life changes to date, it’s important for them to hold onto existing friendships as they start secondary school. Whilst your child will make new friends in no time, keeping in touch with their old friends – even if it’s just the same one friend that you invite over each week – will help them to feel comfortable and happy when so much else is changing around them.